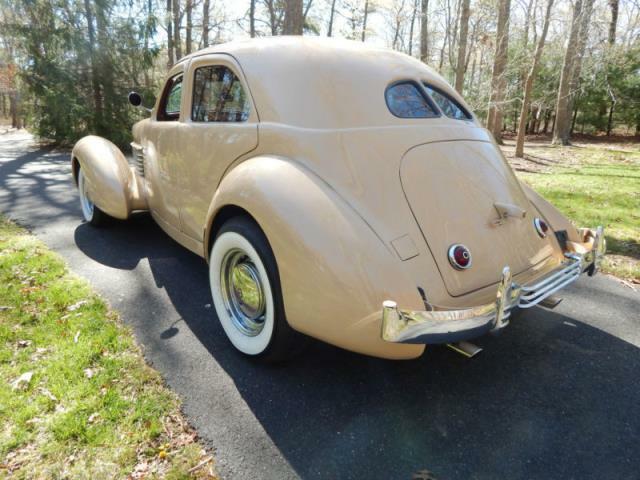 1936 Cord Westchester. It is fun to drive and show. 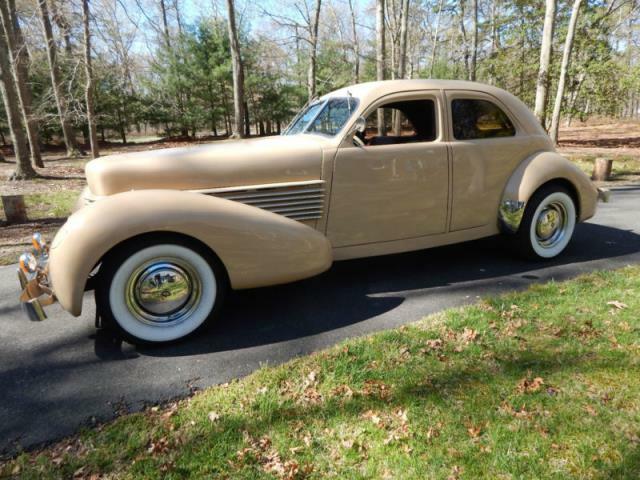 The body is that of a restored 1936 Cord Westchester. The rest of the car is modified. 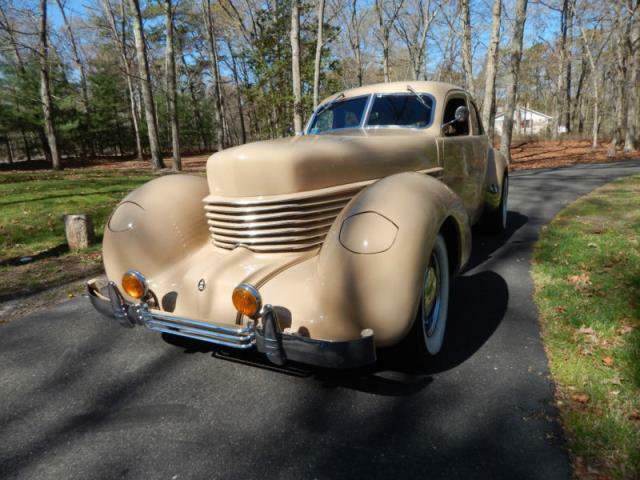 This Cord is powered by a fuel injected Corvette LS1 engine and stops using its four wheel power disc brakes. 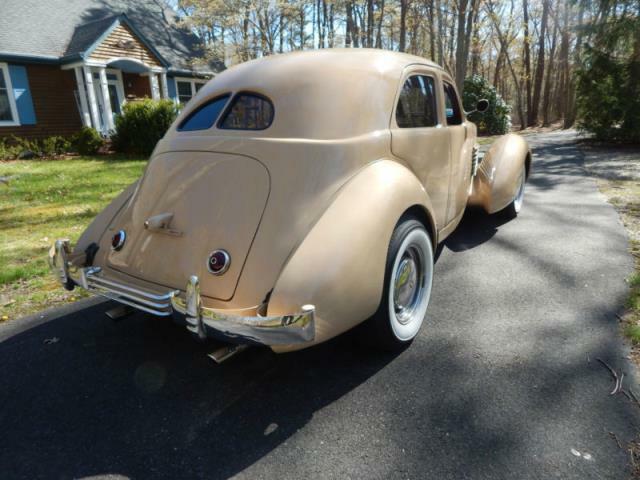 It has a 4L60E automatic overdrive transmission. It has rack and pinion steering and a tilt/telescoping steering column.The interior is a custom leather/cloth seats with shoulder seat belts in the front.For comfort and convenience, it has power windows, power remote door locks, suicide doors with power safety locking pins, air conditioning, and an AM/FM/CD player.The headlights open and close by power, although when closed, do not line up with the body absolutely perfectly.